This video will show you how to Transfer data from old phone to new phone Android. Hi All, recently I upgraded my Android phone from the Samsung Galaxy S5 to the Samsung Galaxy S6 Edge and I am slowly working through a few issues that I found when setting up the new phone. One of those issues was a problem with Gmail contacts getting mixed up with my person phone contacts. Find that video here. Delete Gmail contacts from Android. 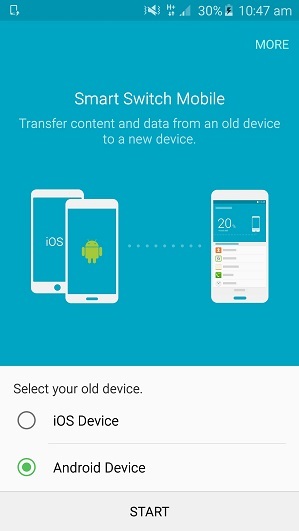 So how do you Transfer data from old phone to new phone on Android? Well in this video I use an application called Samsung Smart Switch, which is an app that is available on the Google Play website. It allows you to Transfer data from your old phone to your new phone without the need to plug into another computer. And it also supports moving from IOS to Android and Android to IOS. The process is pretty straight forward, simply download the Samsung Smart Switch app on both the old device and the new device. Start the Samsung Smart Switch app up on both devices and select the type of OS, so either IOS for Apple Devices devices or Android for Android devices. and then tap the Start button. Next you will need to set the old device to sending and the new device to Receiving. The two phones should hopefully see each other by now and automatically connect to one another. Select the data that you want to move from your old phone to your new phone by leaving the check boxes ticked. If there is any data that you don’t want to copy to your new phone, simply remove the tick from the checkbox. Once done you should be good to go. Just remember that the time it takes to copy data across depends on the speed of your phones and how much data you wish to transfer. For me it was about 4GB and that would take around 40 mins.